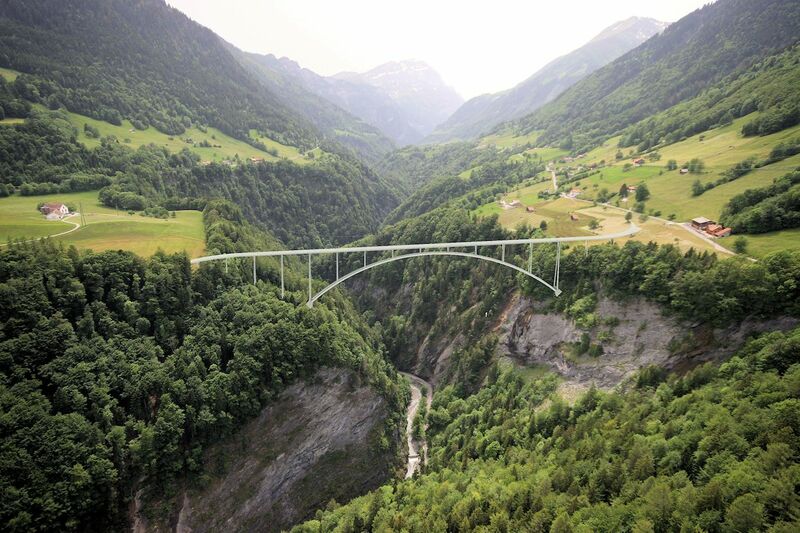 Introducing the dizzyingly high Tamina Bridge, a burgeoning tourist attraction in its own right, just off the A13 motorway, which opens up an interesting area of east Switzerland, and a pay-as-you-go 4×4-only mountain pass. 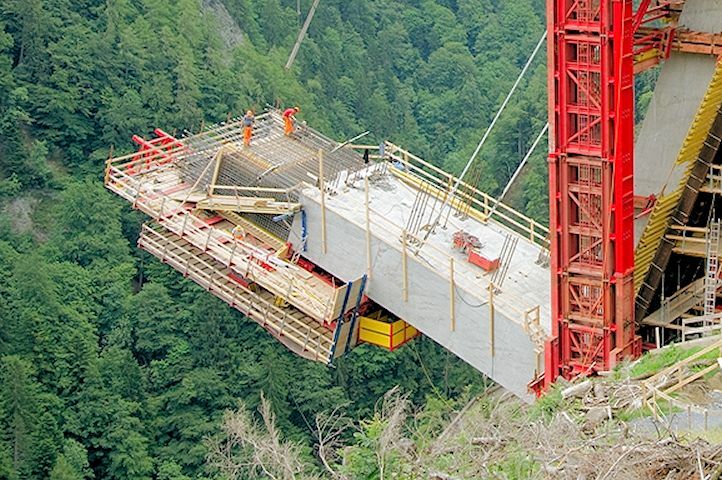 A new bridge under construction in eastern Switzerland will have the longest single span in the country. Its most notable feature however will be its dizzying height. 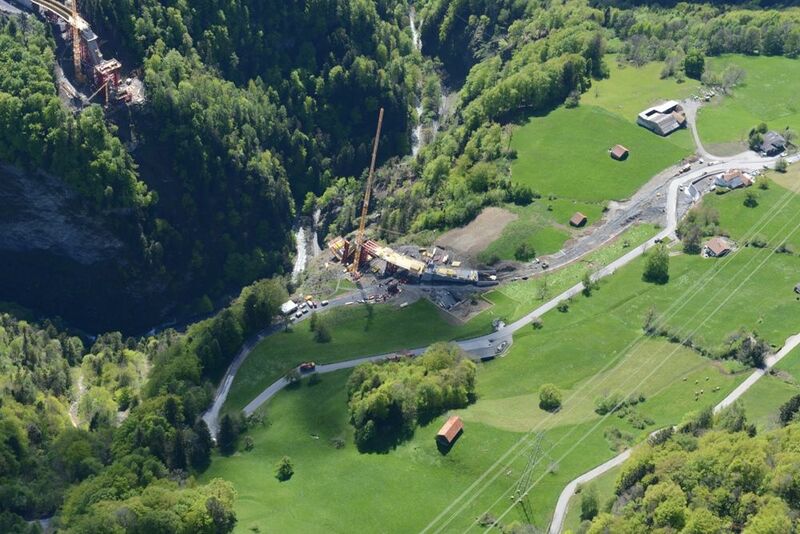 When finished in 2017, Taminabrucke will tower 656ft above the Tamina river between Pfaffers and Valens near Bad Ragaz. That will put it just inside the top 50 highest brides in the world but, whereas most of the others are dual carriageways on major routes, Taminabrucke will be single lane each way. There will be no escaping the view. 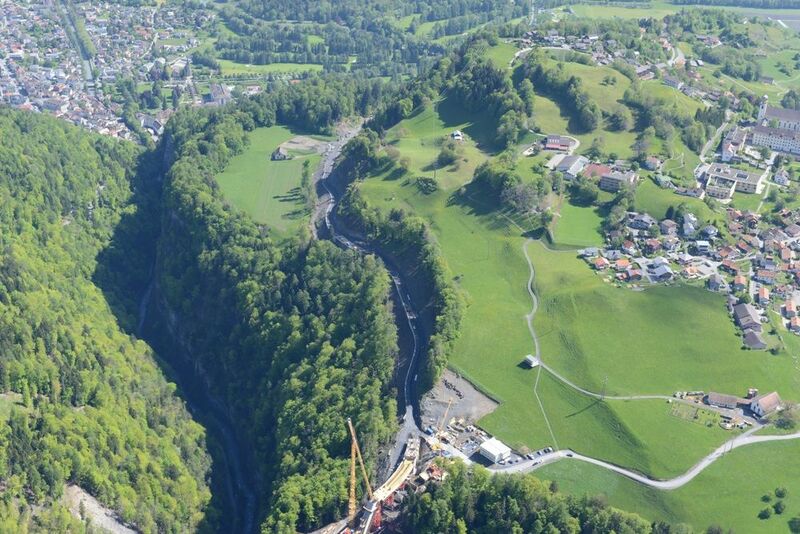 Both villages already have their own roads from Bad Ragaz but the Valens one suffers frequent rock falls. 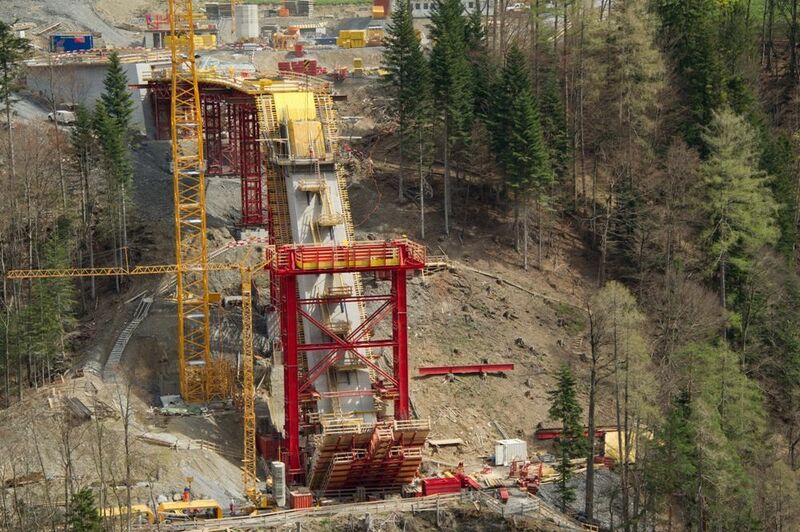 Rather than shoring up the entire mountainside the local council elected to build a showcase bridge instead. It spurs off the Pfaffers road just north of the village to avoid through traffic. The old Valens road will be dug up and returned to nature. Exactly as they have done for thousands of years – the world’s oldest bridge, Arkadiko in the Peloponnese, Greece, dating from 1300BC, was built basically in the same way – engineers sink the abutments first, the supporting structures on each side. The arch is then built simultaneously from each end to meet at a keystone in the middle. Currently there is 20m of arch from the Valens end and 35m from the Pfaffers end. The structure is attracting tourists already, on top of those who already come to visit the hot springs further down the Tamina Gorge, so narrow at this point there’s barely room for a path. 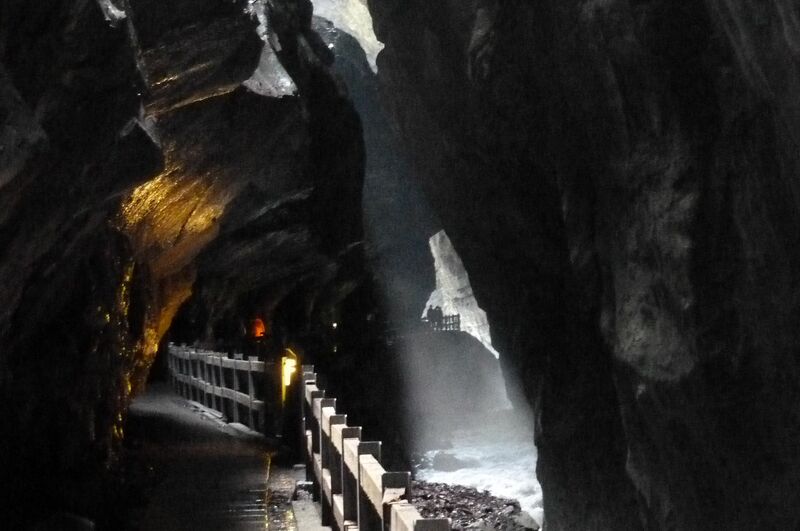 The springs put this region on the map in the first place, hence ‘Bad’ Ragaz. Photo Wikipedia. In particular, Taminabrucke will improve access to Kliniken Valens, a rehabilitation hospital with a worldwide reputation, specialising in rheumatology and neurology. 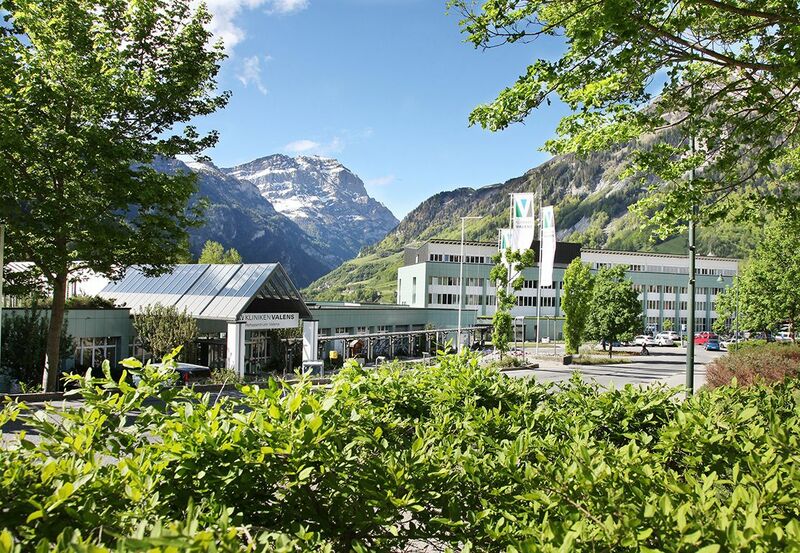 Currently, around 600 staff and numerous ambulances trek up and down the road to Bad Ragaz each day. Taminabrucke is just a couple of miles from the Rhine Valley and A13 motorway in the east. To the west are the wilds of the Glarus Alps. 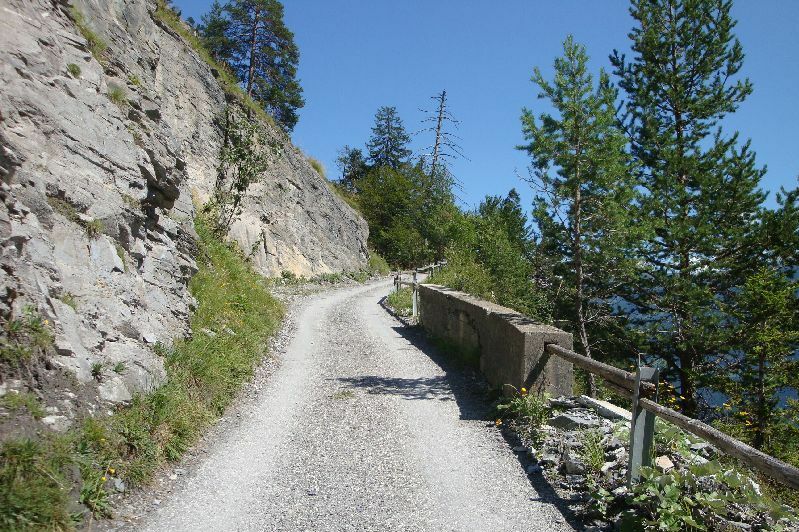 Currently a minor road runs south west from Pfaffers to the alpine village of Vattis past the long narrow Mapraggsee. For more information see www.taminabruecke.ch. 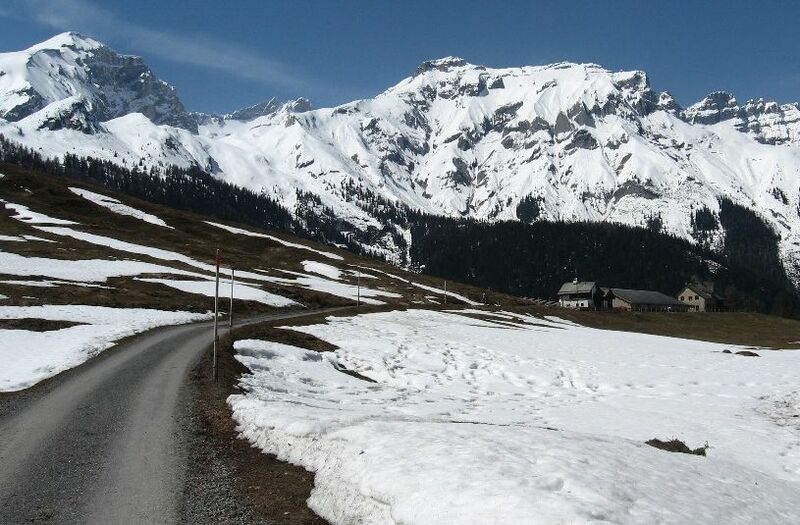 The Glarus Alps are bordered in the north by Klausenpass, in the south by Oberalppass and in the west by the A2 motorway and Gotthard Pass.